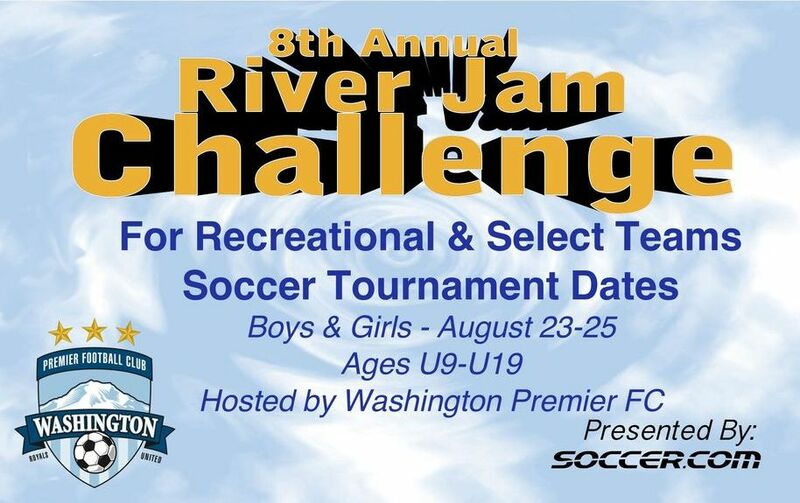 Mark your calendar for the 8th Annual River Jam Challenge to be held at the beautiful Washington Premier F.C. Complex in Puyallup, WA. We don’t want you to miss out, below are the details you need to register your teams for this competitive tournament! *For clubs that bring 6 or more teams, please contact Cheryl Mercuri for instructions on how to register the teams and get the discount.